Are you looking for a career helping people return to sport at all levels after injury, and enhancing their performance? If so, the MSc Sport Rehabilitation is for you. This programme is endorsed by the British Association of Sport Rehabilitators and Trainers (BASRaT). Why study Sport Rehabilitation (Pre-Registration)? By studying this degree you will gain the skills and knowledge to work as an independent practitioner, assessing injuries, and aiding recovery through manual therapies and exercise prescription. The programme is endorsed by the British Association of Sport Rehabilitators and Trainers (BASRaT) and is one of the few MSc courses whose graduates are accredited for entry to the BASRaT register. Our graduates work in a wide range of environments including sports clubs/teams, sports injury clinics, the ministry of defence and the performing arts. St Mary’s was one of the first universities in the country to offer a Sport Rehabilitation degree. Our academics have a vast amount of experience working with athletes at all levels of competition. Many are engaged in leading-edge research, and all are passionate about teaching. You will have access to teaching facilities designed with Sport Rehabilitation in mind, including our state-of-the art Performance Education Centre where you can learn and practice exercise-based assessments and interventions. Our biomechanics laboratory is particularly valuable to MSc Sport Rehabilitation students undertaking dissertation testing. In addition, we operate a Sport Rehabilitation Student Placement Clinic and rehabilitation gym, where many will undertake part of their clinical placements. All this is in addition to the fantastic sports facilities at St Mary’s. Accredited by the British Association of Sport Rehabilitators and Trainers (BASRaT), the professional body overseeing and regulating the practice of Sport Rehabilitators and Trainers in this country. Includes an Immediate Care in Sport (Level 2) course, leading to a recognised qualification in pitchside immediate care skills. Focusses on the assessment, treatment and rehabilitation of sports injuries. At least 2:1 (or equivalent) or good 2:2. Students will normally be expected to have achieved a 2:1 or a good 2:2 (or equivalent) in a related discipline, including: sport and exercise science, sports coaching, strength and conditioning, sport science, sports therapy, physical education and physiotherapy. In addition, applications will also be considered for selected elements of the programme leading to an MSc/PGDip/PGCert in Sport Rehabilitation from students with a first degree in biology, physiology or occupational therapy. Where necessary, we can also assist students in gaining a Data and Barring Service (DBS) check, and reduced price First Aid certificate, both of which are prerequisites for clinical placement. This module aims to provide students with the practical and theoretical knowledge, related to the sport's medical support of individuals or teams. The module aims to bring together a variety of external influences that impact upon the planning, preparation and support of players whilst home or abroad. The specialised treatment techniques element of the module also provides students with some key skills, such as use of cryotherapy, thermotherapy, electrotherapy, hydrotherapy and immediate care in sport. Elements of these are outlined in the BASRaT Educational Framework. This module aims to provide students with a more detailed appreciation of the stages and processes involved in preparing a research project, and the tools necessary for interpretation and analysis of quantitative and qualitative data. This module sees the combination of two unpinning scientific principles for study on the degree programme that are required by BASRaT. Anatomy is taught alongside physiology as it allows the student to reason through location and function of anatomical landmarks in relation to their physiology. These modules are commonly presented alongside each other in text-books and in journal articles, optimising availability of information for students. This module embeds clinical reasoning into the students learning process. 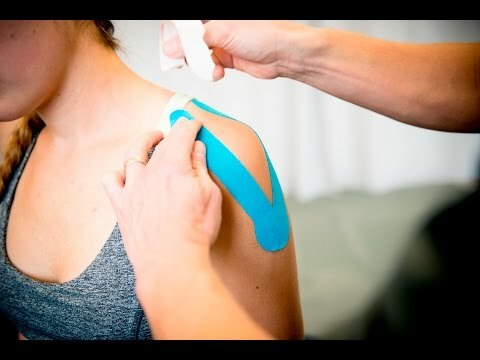 Soft tissue management (Sports Massage) is taught alongside clinical assessment in order to enable students to clinically reason through their differential diagnoses and apply the appropriate management strategy for the injury. This module provides students with the requisite knowledge and skills, to plan design and conduct an original and high quality research study independently and communicate the findings to others. This module provides students with the opportunity to practice and integrate their practical skills in their learning, and reflect upon treatments they have learnt. The inclusion of evidenced based practice reflects the need for embedding research into students learning at this level, and allows the student to graduate as a practitioner who is able to critique and reflect on everything they do. This element of the module seeks to promote an important aspect of postgraduate learning. In order to complete the Evidence Based Practice and Clinical Placement module, and to register with BASRaT, students must complete 400 clinical placement hours. Support, guidance and contacts will be provided to assist students in securing clinical placement hours. Where necessary, St Mary’s can also assist students in gaining a Data and Barring Service check, and reduced price First Aid certificate, which are prerequisites for clinical placement. To qualify for BASRaT membership students must also complete and pass an Immediate Care in Sport (Level 2) course, which is included. Both aspects of this module address a sportsperson returning to a sporting environment, and what may affect this transition. This will enable students to consider the athlete/ sportsperson in a broader context thus developing their ability to be considerate and empathic when treating patients. Both aspects of the module address similar underpinning principles, and complement each other well. Analysis of biomechanical dysfunction allows the student to reason why they are conducting a particular aspect of rehabilitation. This will help to develop the student's critical analysis skills. "BASRaT graduates are trained solely in Sports and Exercise Medicine, with an emphasis on the design and implementation of exercise and rehabilitation programmes in both health and disease. St. Mary's University and the University of Salford were the pioneering institutions to run degree programmes of this nature, and have since been joined by several other institutions. To ensure that all accredited courses were of a high equitable standard and that all graduates conformed to strict codes of professional practice and conduct, the British Association of Sport Rehabilitators and Trainers was born." For more information on BASRaT membership criteria, and career destinations please consult the BASRaT website. Modules are taught through lectures, practicals, seminars and placements. The Advanced Research Methods module will include an intensive week. A wide variety of teaching approaches will be utilised and you'll be expected to actively engage in teaching sessions and undertake a significant amount of work beyond the formal contact hours. Attention is given to the formative process that will encourage the development of key practical skills in assessment and critical thinking. You will be assessed through a combination of coursework, presentations, vivas, practical demonstration, and written examinations. At your cost, a Data and Barring Service (DBS) check and First Aid certificate are pre-requisites for clinical placement. Where necessary, St Mary’s can assist students in gaining a DBS check and a reduced-price First Aid certificate.Additional costs could be incurred depending on optional modules chosen and other projects undertaken. For further information about additional costs please contact oliver.blenkinsop@stmarys.ac.uk. Correlation between condition of shoes used for road-running and risk of running-related injury. A Pedobarography study. A comparison of body kinematics and kinetics in single legged vertical and horizontal jumps in females: An Impact on return to sport criteria. Can increasing hip extension increase hip flexion? A Randomised Control Trial. Start your application to study Sport Rehabilitation (Pre-Registration).